Fall is in the air and that means it is time to show the change in your home decor. A fun and inexpensive way you can do that is with items found at a neighborhood yard sale. With a little love and polish, you will be surprised how your tabletop can go from drab to warm and inviting. 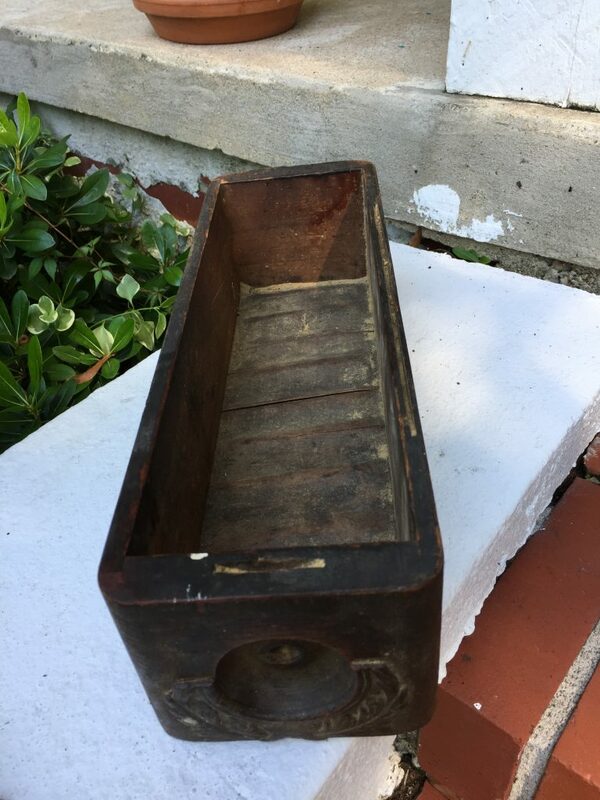 For this post I am using a drawer from an antique sewing machine. The sewing machine was being trashed but I loved the drawers so the owner gave them to me! 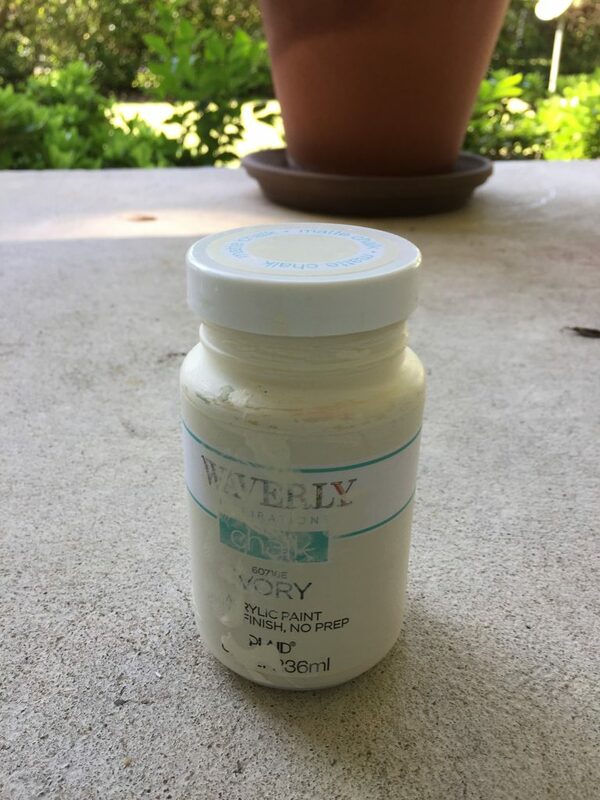 After a good cleaning, I painted with Waverly’s Chalk Paint in Ivory. I only use this brand of chalk paint. It covers great and the cost is very affordable. Next, I will place floral foam in the bottom of the drawer. 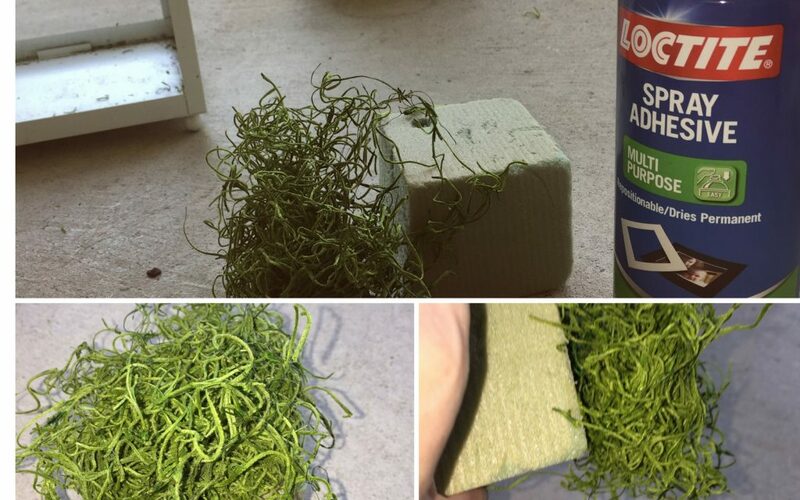 Since I am covering the foam with moss, I’ll spray the foam with adhesive spray first then add the moss. You can put anything you want in the design. Since my colors tend to run in the teal family, I painted my dollar tree foliage in those shades. The pine cones I spray painted in gold and ivory. I stuck in a few dried wheat sprays and voila! I’m ready for fall. Don’t have a Dollar Store close by? 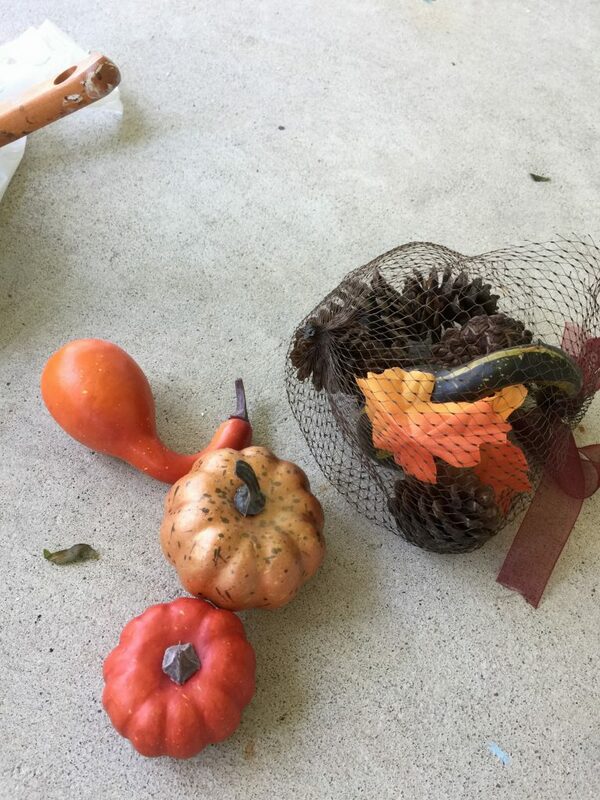 You can also get packs of mini pumpkins and gourds on Amazon here. Shipping is free for Prime Members on eligible items; otherwise, shipping is free on $25+ orders. Get a 30-Day Amazon Prime Trial here for FREE . 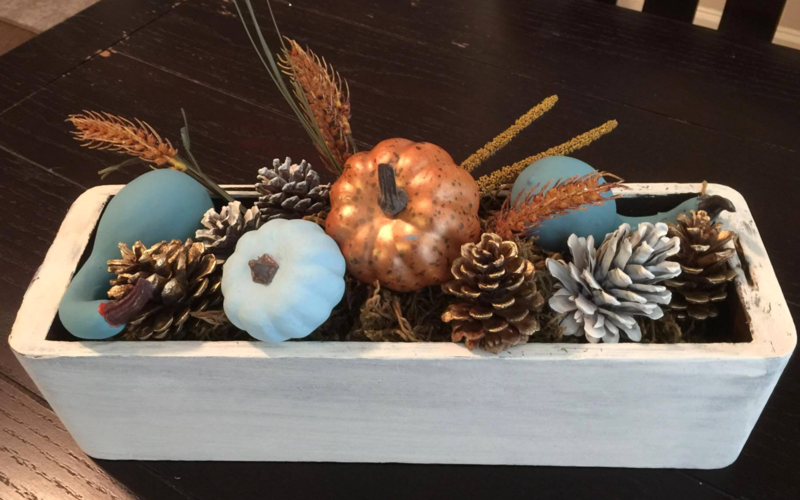 Head here for another cute Dollar Tree fall craft!